I love when summer transitions to autumn at the Disneyland Resort. It’s a beautiful time of year. 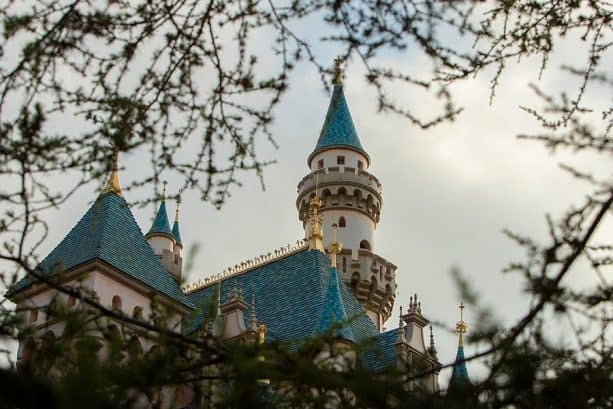 I often set out to refresh our collection of Sleeping Beauty Castle photography as the seasons change. One morning I found myself on the Mark Twain Riverboat’s top-deck at sunrise and was transfixed as the sky morphed from deep blue to orange. 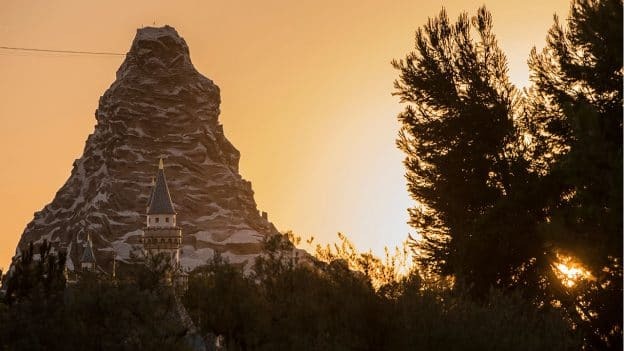 The Matterhorn mountain became bathed in a golden glow and the sun’s rays kissed the spires of Sleeping Beauty Castle, which created a lovely rim-light effect. 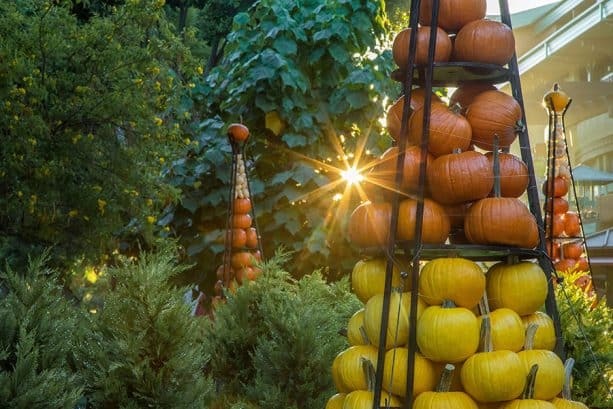 With the arrival of autumn comes Halloween Time at the Disneyland Resort. 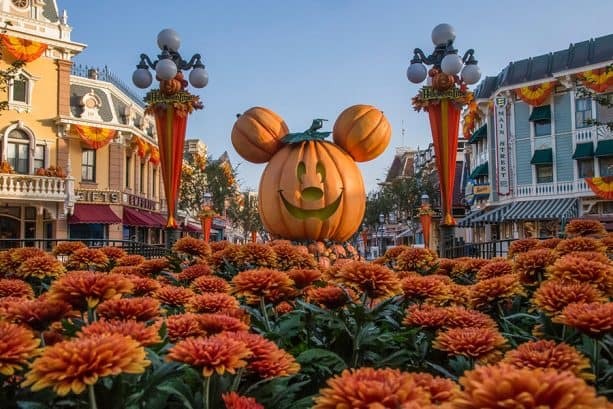 I think our visitors are attracted to big seasonal changes like the Mickey Mouse Jack-o-lantern on Main Street, U.S.A., but I love all of the little details, like the horticulture treatments in Town Square at Disneyland park and throughout Downtown Disney District—orange flowers and real pumpkins abound. I can’t wait for Sleeping Beauty Castle to be covered in snow come November, but those spires really are picturesque year-round. 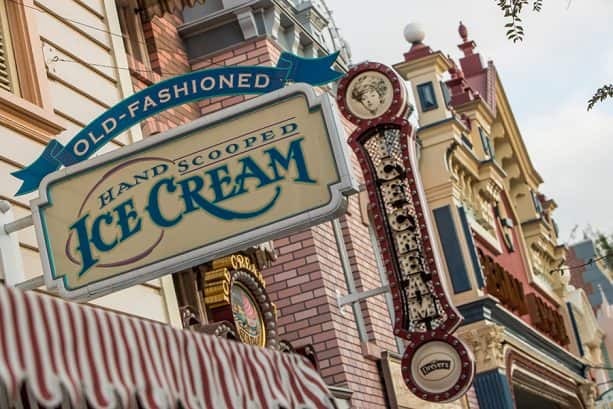 Amidst all of the changes, the Southern California days are still warm enough to enjoy short-sleeve shirts and a scoop (or three) of ice cream. 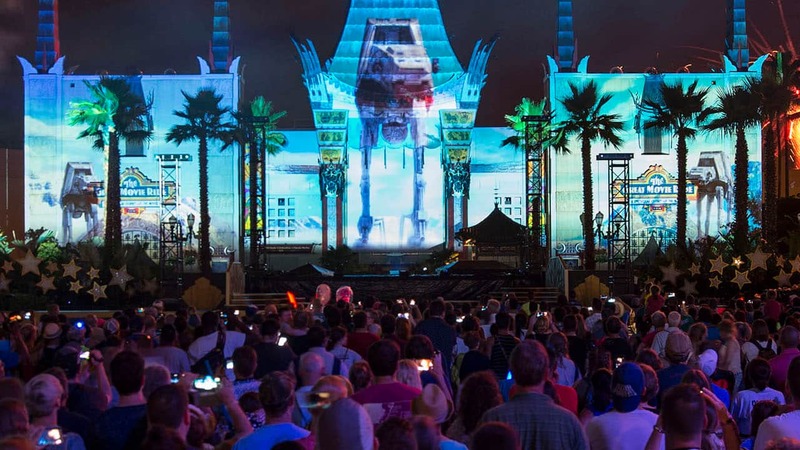 Now is the perfect time to pack-up the family for a little fun at this magical place. We want to see ya’ real soon! Beautiful pictures! I really look forward to your posts! Fall has always been one of my families’ favorite times of the year at DLR. Such wonderful, immersive decorations.